The Corolla is a compact car created by Toyota and its easy to see why the Corolla is the world’s best-selling car over the past 50 years. With its low-price tag and solid Toyota reliability it’s a true winner. The Corolla is comfortable and economical car to drive and you will be pleased with the high level of day-to-day practicality. With six Corolla trim levels including the L, LE, LE Eco, SE, XSE and LXE, you have a wide variety of choices and options to choose from. 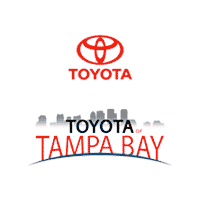 Stop in at Toyota of Tampa Bay dealership In Tampa near Brandon and Wesley Chapel and test drive the new Toyota Corolla today!